THE EXCITEMENT IS ON! 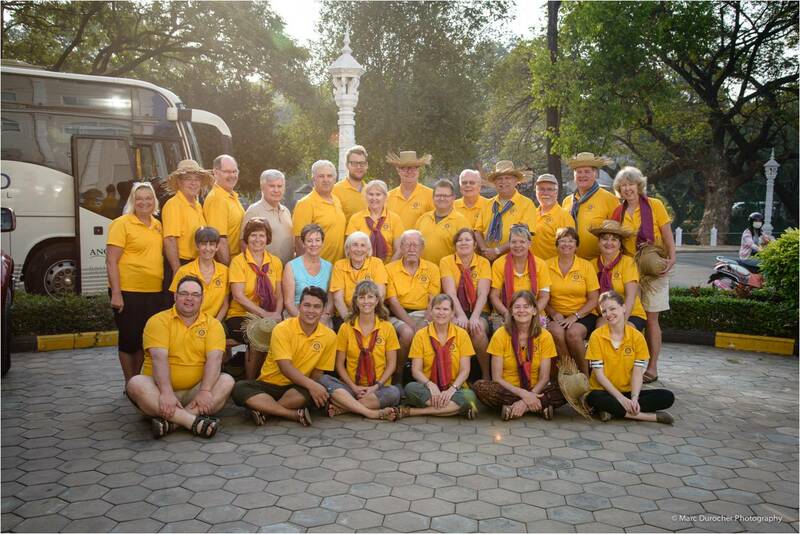 – Our team of 10 Rotarians and Friends had their first Cambodia Bicycle Distribution Trip meeting this past week. We are hoping to get 10 more people to join out team. To learn more about how you can join this rewarding adventure, please visit the previous blog posting. 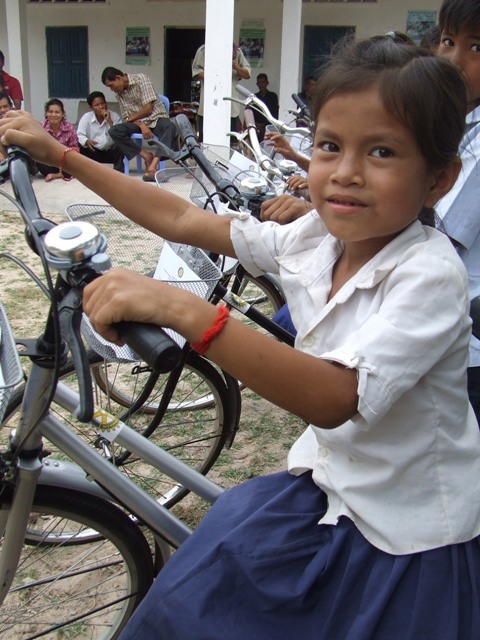 Lisa McCoy will be heading to Cambodia on October 30th to prepare for the upcoming bicycle distributions. 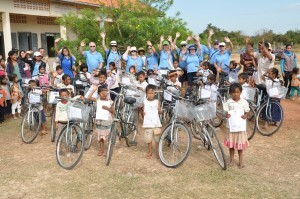 Our team is prepared to provide 1,056 bicycles to needy students in Cambodia from January 23rd to February 12th, 2013. 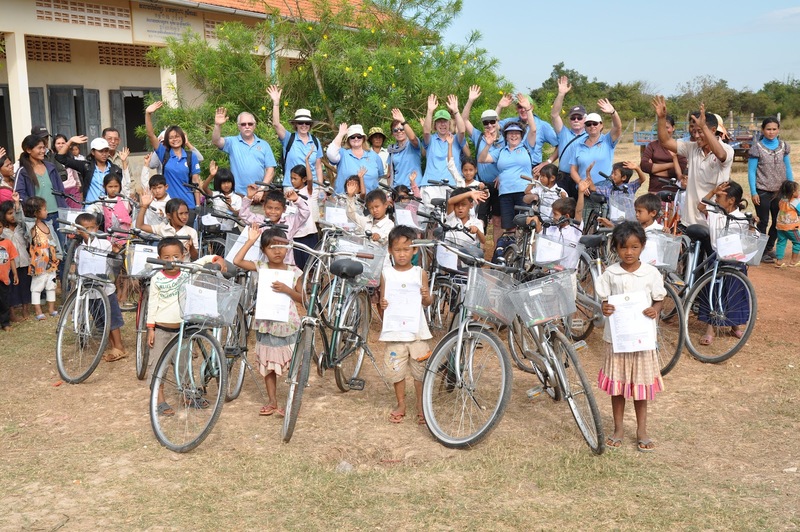 These bicycles will be distributed throughout six target areas in rural Cambodia. Not Only That! – Our Team will be giving out a family-sized mosquito net to each bicycle recipient’s family. The recent increase in Malaria and other mosquito-borne diseases has seen many more families in rural Cambodia suffer from devastating illnesses. More Than That! – Our Team will be distributing Two Tons of rice in ten kilogram bags to needy family. Even MORE! – Our team will be taking over a suitcase each of donated items that we will distribute to schools, students with HIV, and impoverished people. This year we are looking for donations of lice combs, child and youth size flip-flops, flash drives and used digital cameras. Call or email Lisa McCoy if you can help. Your donation of $50 will provide a child with a Rotary Wheels for Learning fully-equipped bicycle enabling him/her to cover the miles to school. A mosquito net will be provided for his/her family. Funds are put in place for the maintenance and repair of that bicycle. For each child you sponsor, you will receive a photograph of the child with bicycle and short biographical information. If you have an email address, please provide us with that when you donate. 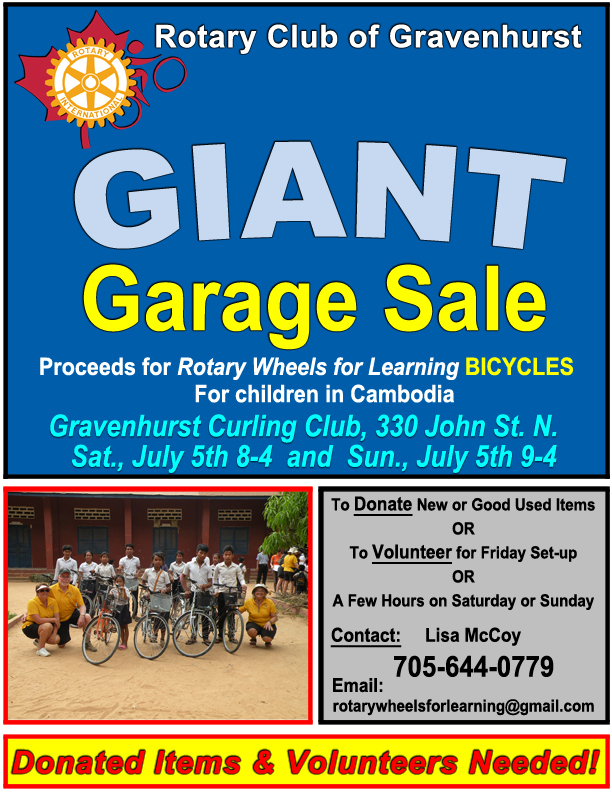 P1P 1V2Canadian donations will receive a tax receipt from the Rotary Club of Gravenhurst. Donations can also be made online using the PayPal portal the link above.